Backpack blessings – a graced way to sent students off with our parish community support. Here is a sample from Light of Christ Catholic School Division: Sample Here is rough outline of the celebration including blessings on teachers and staff. Some Prayers from the Archdiocese of Dublin Education Secretariat. 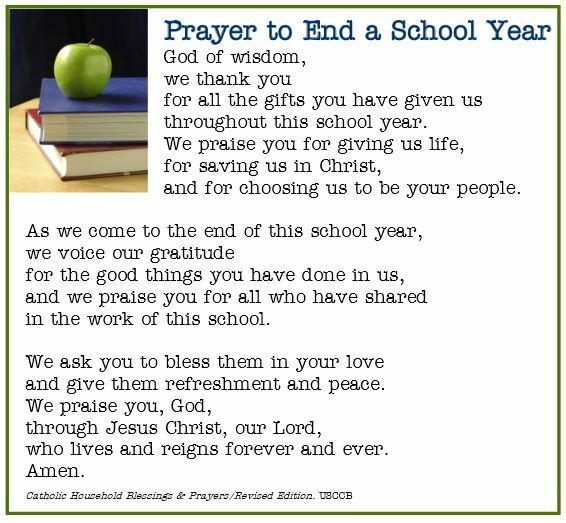 Secondary Year end prayer from Catholic Education Office Melbourne AUS.